Restore your bicycle back to its original luster with a new fresh powdercoat. Powder Coating is the application of organic powder by electrostatic attraction to metal. Once cured by heat the finish is a smooth, hard skin. Our powdercoating service starts at $175. We remove the old finish and will powder coat the frame to any one color of your choosing. 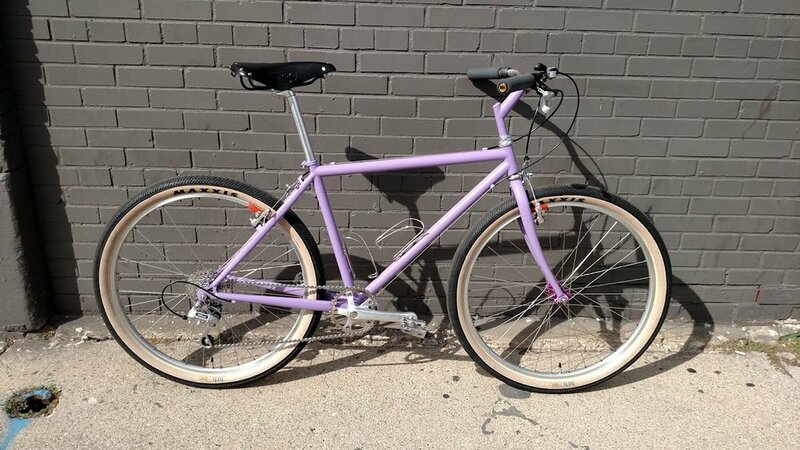 We can build up a classic bike with all new or used parts and coat the frame in the color of your choosing. Hand build wheels with a custom durable finish will set will really set your ride apart from the rest. pick rims, hubs, spokes in the color you want.